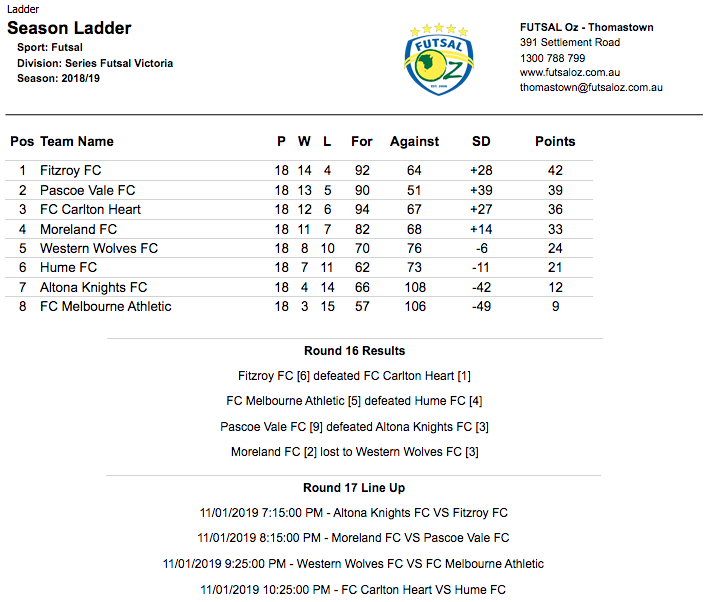 Our first of the catch up games saw Pascoe Vale take on Altona Knights as both were in desperate need of three points. It was Pascoe who opened the scoring through a well worked move which was finished off by Alisson Lima Da Rosa at the back post to give the Lions the lead. It was soon two when another good bit of play was finished off by Joao Da Silva. Altona hit back through a well worked set piece as Tony Saric fired home to halve the deficit at the break. Pascoe were too strong in the second half and it showed as they piled on the pressure early and didn’t let Altona have a chance as Andre Caro finished with a hat trick to his name was Da Silva ended the game with two goals as Pascoe close to within three points of Fitzroy in an entertaining title race, while Altona remain fighting to safety at the foot of the table. 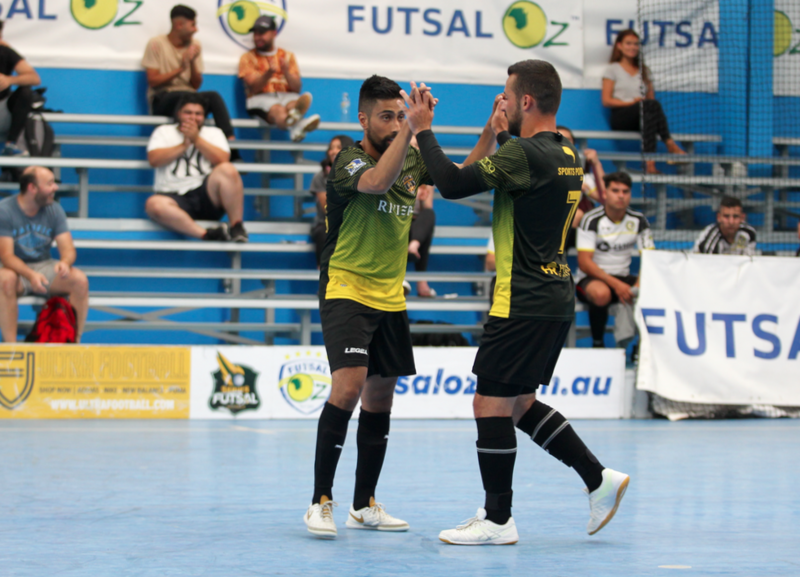 The second and final game of the day saw Moreland who were hoping to keep their slim title hopes alive face Western Wolves who were looking to climb out of the relegation zone on points. It was the Wolves who struck first when Ubeyde Cicek received the ball as a target and turned his man before firing home to give the Wolves a slender lead which they held into the half time break despite a host of chances from both sides it was the only goal of the half. The second half followed the same trend as both sides had their chances but everyone was struggling to find the net, until a fantastic bit of play from Melvin Becket saw him finish to double the advantage. 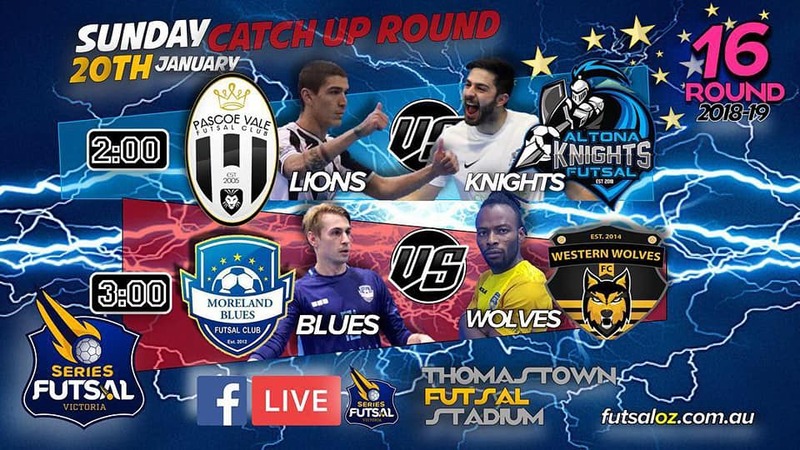 The Wolves looked set to take home the win in this one, but Moreland didn’t give up and pulled a goal back through Atay Ibrahim to halve the deficit, before a well worked bit of play saw Ibrahim fire home for his second of the contest to have the game back on level terms. 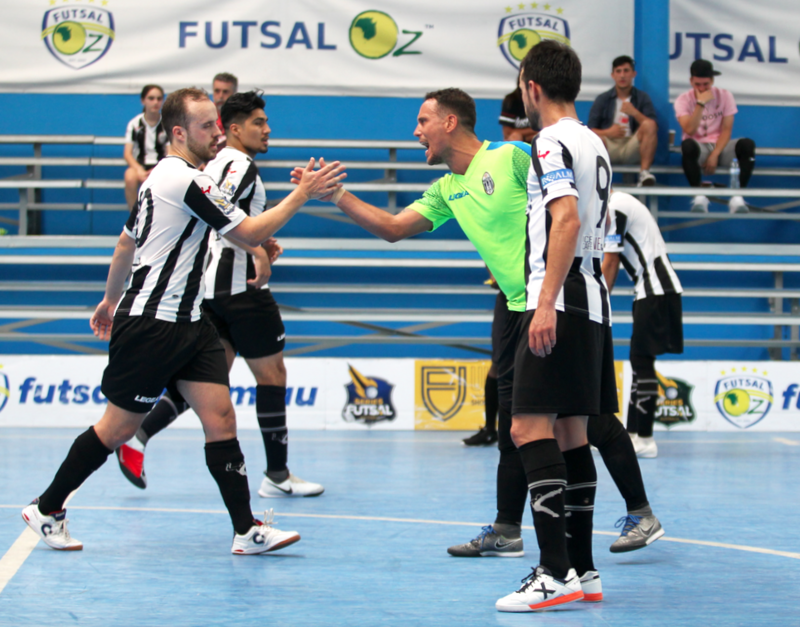 With time running out it was a late winner that went he Wolves way as Jonathan Barrientos struck from a free kick to seal all three points for the Wolves as they climbed out of the relegation zone and ended any hope Moreland had of taking the title.